David Austin (United Kingdom, 1990). 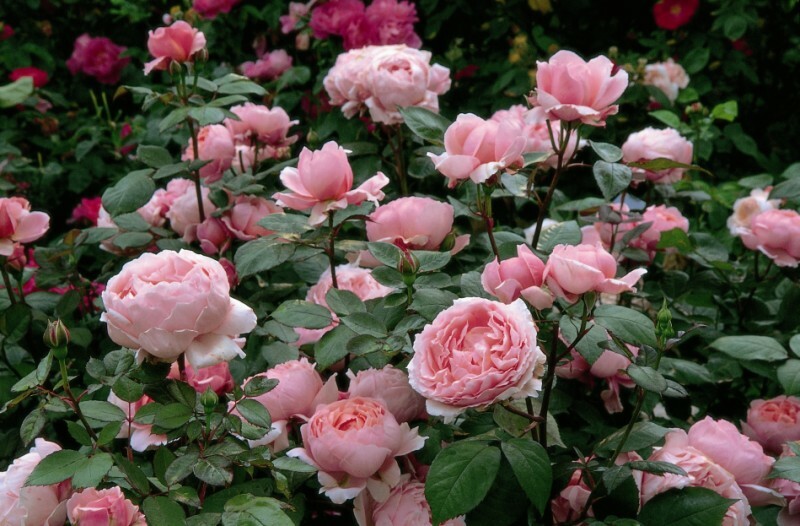 ‘Brother Cadfael’ bears very large, globular, clear pink flowers, reminiscent of peonies. Despite their size, they are never clumsy and are held nicely upright on the plant. There is a particularly strong and rich Old Rose fragrance, similar to some of the Old Bourbon Roses. It forms a fine, bushy, medium-sized shrub; the flowers, leaves and growth all in proportion.